I don't really have anything new and exiting to show, because most of the things I am working on at the moment are Christmas presents, even though we have bought loads there are still plenty to make... And making takes time, even something as simple as a knitted hat. But I do have another finish here are the headbands I finished for two small boys (well, eleven and nine years old so rather big small boys). I made them simple since I didn't have much time and the boys really don't care that much for soft things. Both are the made the same way, except the darker one is a bit bigger. Well, anyway, both boys get some money, a star wars rub-on tattoo and a reflective headband. When the pattern is simple I think it is important to use some yarn with a flair, and things that glow when the cars drive by so they see you is kind of nifty I think. And maybe the boys think it is kind of cool? I don't know, I have never been a ten-ish year old boy so I have no idea what they think is cool. I also want to talk about packaging a bit. You know those leftover threads that are too small to really do anything with? I use them to wrap gifts in... And suddenly the two gifts are different. I do sometimes buy real wrapping thread, but I do think it is somewhat wasteful so I try to buy the paper or twine ones rather than the plastic ones. But I think using up leftovers is nice. How I made these super simple headbands? I can tell you, however remember that I am no knitting expert so these are super easy and don't really need a pattern, but hey, at least then I will know what I did if I have trouble remembering. 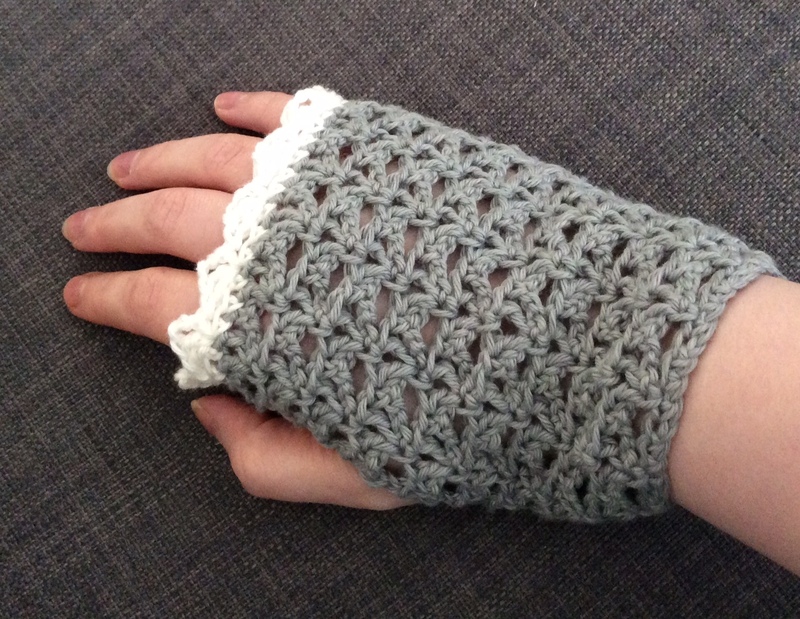 These are also so easy that a child can make their own ear warmers, but these boys are even less interested in crafting than wearing something handmade so it is better to make things for them. I finished one during a movie this weekend so they are easy, fast and fun to do, if you ever need a quick present. 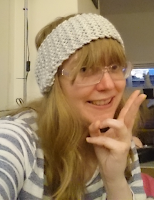 I used a 6mm needle and cast on 10 stitches for the small one and 13 stitches for the slightly bigger one, then I knitted ribbing back and forth for about 30 cm (or as big as the head that will receive the ear warmers) and cast off and sewed the ends together. (If you leave your ends a bit longer than needed you can use them to sew your headband together.) And Voila, a finish or two, in time for autumn and darker days. 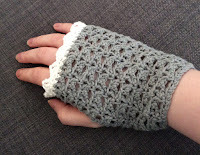 Also, don't forget the competition over at gachastitches, you can win both the pattern and a pair of lovely crochet wrist warmers V for finurlig. 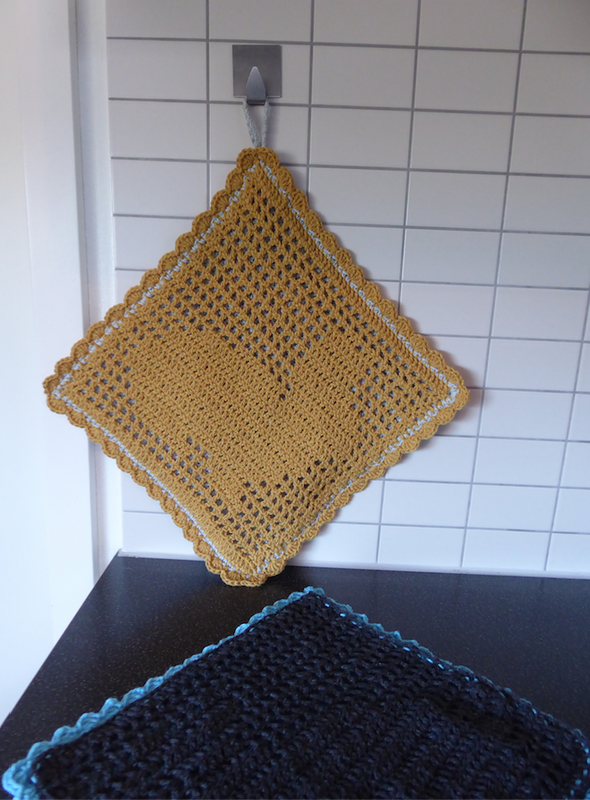 And there is a free rabbit crochet square pattern up too. Multe is Norwegian for cloudberry.